Visiting prisoners is encouraged in the Bible, along with feeding the hungry and clothing the poor. Yet for many, it’s less scary to collect food and clothes. Comforting prisoners is listed last in Matthew 25:35-36 when Jesus said, “For I was hungry and you gave me something to eat, I was thirsty and you gave me something to drink, I was a stranger and you invited me in, I needed clothes and you clothed me, I was sick and you looked after me, I was in prison and you came to visit me. In a cellblock space, I met retired volunteers. Each felt faith had called them to prison service, and they were just answering the spiritual phone. Later, attendees grew from three to 12, and the rewards, insights, and comical moments were rich. 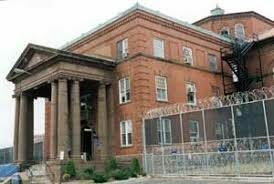 Later in Massachusetts, I occasionally did volunteer prison stints. What surprised me is the change and redemption I found within myself. Go outside your comfort zone. Volunteer. This column ran in the Patriot Ledger and nationally through GateHouse Media, 1/14/2019.